What is it about motels that makes them so freaky? 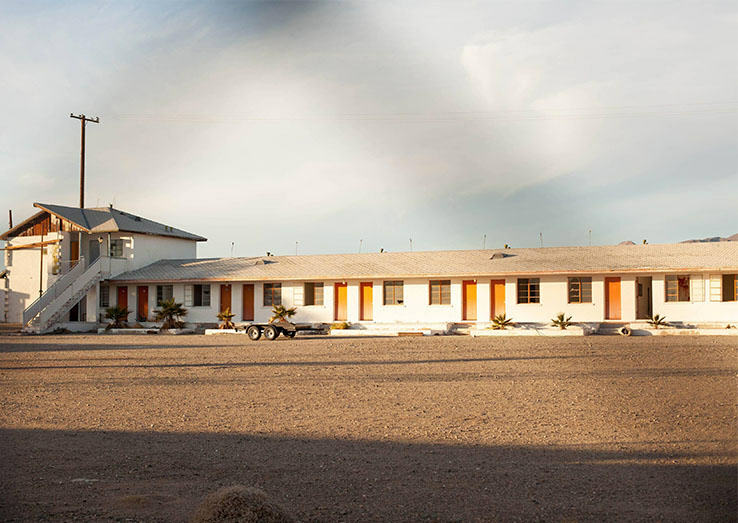 Is it some lasting legacy of Hitchcock’s Psycho that makes us afraid of inexpensive roadside hotels, or is there something more nefarious going on? Well, take a close look at this picture again and see if you can see whats so disturbing about it. If you spotted the room on the right which appears to have blood smeared on the walls, then you may have it in you to survive a stay here. 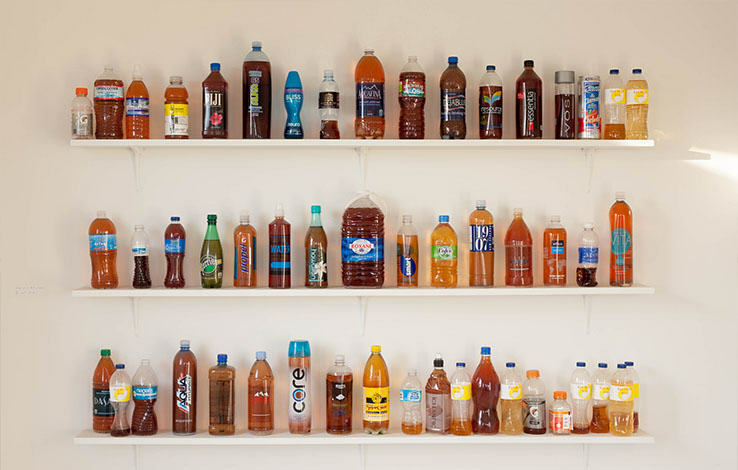 Everyone knows that organising your piss bottle collection by colour is only one step behind keeping a severed head in the freezer. The Redditor who took the creepy pictures got some rational advice from one user though who reminded him that blood turns brown over time, so it probably wasn’t real blood… or it was fresh, in which case it was probably too late to worry anyway. 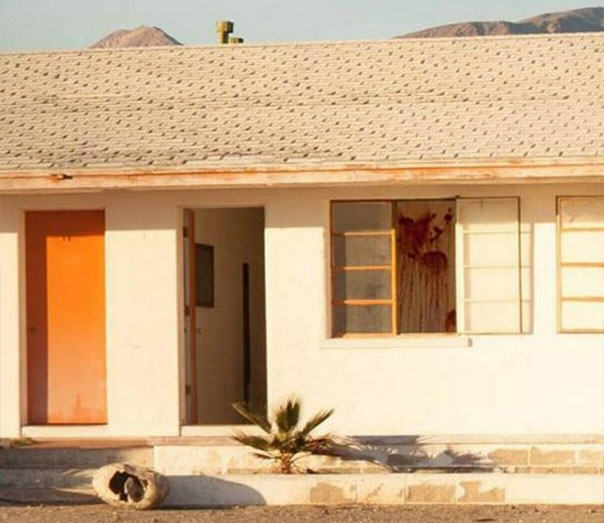 The photos were taken in the town of Amboy, California, which is apparently a pretty weird place. There are only an estimated four people living in the ghost town, and the majority of the 10 buildings are abandoned and crumbling. 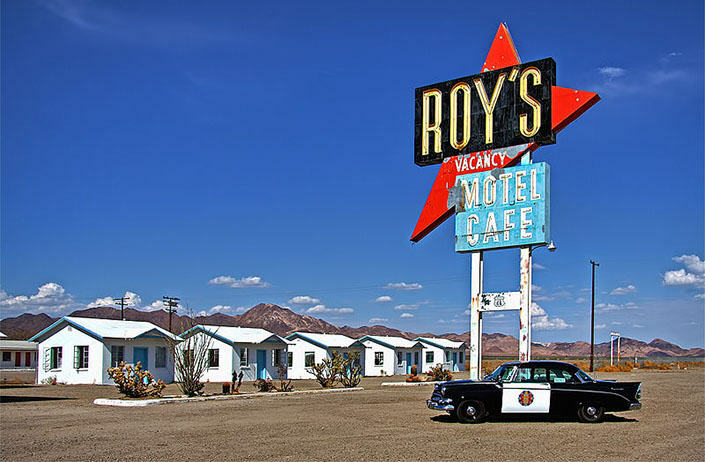 But what’s even weirder is the motel, Roy’s, a motel that’s been run since the 30s, is currently closed because there’s no drinking water, but has bizarrely attracted some A-star regulars. Actors Harrison Ford and Anthony Hopkins have autographed photos in the restaurant and visit whenever their schedules allow apparently. Ford even flies in and lands his plane on a nearby landing strip. We hate to start conspiracy theories but it seems pretty obvious that the town’s where Ford stashed the ark of the covenant at the end of Indiana Jones. The town’s weirdness is actually well known, with a number of ghost stories being written about the place.